Explore the networks around the world that GPSEN is apart of and how our regional work connects to global initiatives. 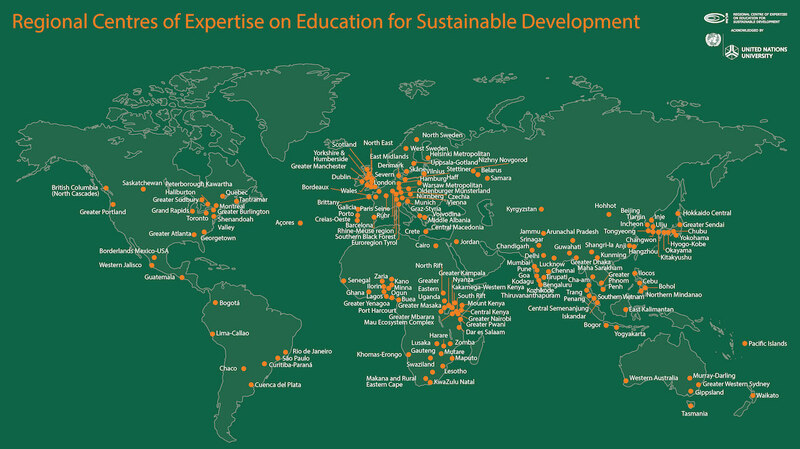 The Regional Centres of Expertise (RCE) on Education for Sustainable Development (ESD) are multi-sector networks of organizations that support formal, non-formal and informal sustainability education efforts in local and regional communities. They create a knowledge base to support stakeholders and sustainability providers and promote four major goals: collaborative partnerships and governance; projects and programs; transformative education; and research and development. A network of RCEs worldwide constitute a Global Learning Space, offering innovative platforms to share knowledge, expertise, and best practices and to promote dialogue on sustainable development efforts and initiatives. As of 2018, there are 164 RCEs around the world, as acknowledged by the United Nations University Institute for the Advanced Study of Sustainability (UNU-IAS) and supported by the RCE Service Centre, in Tokyo, Japan. RCEs aspire to translate global objectives into their local communities. 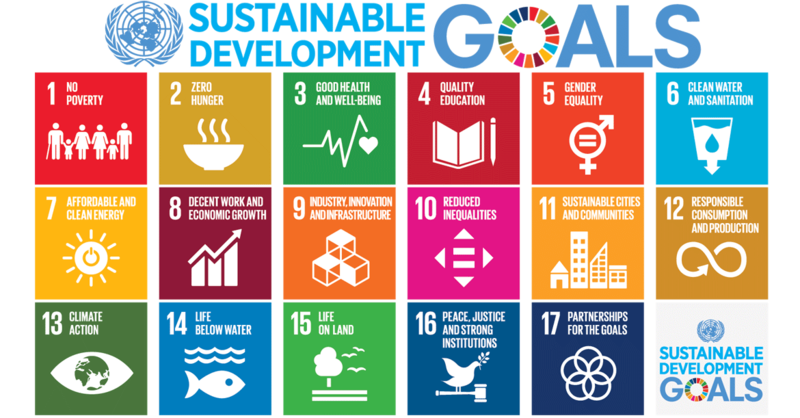 Upon the completion of the Decade on Education for Sustainable Development (DESD) in 2014, RCEs are asked to generate, accelerate, and mainstream ESD by implementing the Global Action Programme (GAP) on ESD and help implement the Sustainable Development Goals (SDGs). …an urgent call for action by all countries – developed and developing – in a global partnership. They recognize that ending poverty and other deprivations must go hand-in-hand with strategies that improve health and education, reduce inequality, and spur economic growth – all while tackling climate change and working to preserve our oceans and forests. As a Regional Centre of Expertise on Education for Sustainable Development, GPSEN supports the SDGs. Because we are focused on Greater Portland, we focus on building connections between local efforts and global goals. The goals are aspirational and set to be accomplished for the year 2030. 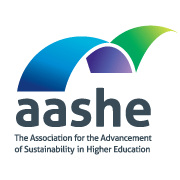 The Association for the Advancement of Sustainability in Higher Education (AASHE) empowers higher education faculty, administrators, staff and students to be effective change agents and drivers of sustainability innovation and enables its nearly 1,000 members to translate information into action by offering essential resources and professional development to a diverse, engaged community of sustainability leaders. The U.S. Partnership for ESD consists of individuals, organizations and institutions in the United States dedicated to education for sustainable development (ESD). It acts as a convener, catalyst, and communicator working across all sectors of American society. Its mission is to leverage the UN Decade and post-decade activities to foster education for sustainable development in the United States. The Environmental Association for Universities and Colleges (EAUC) is a strong alliance of universities and colleges, sector bodies and commercial organisations, working together both in the UK and internationally. We stand strong individually, but we make a far stronger impact when we work together. Education has a huge role to play but we need to drive next generation leadership to address next generation sustainability. We need to look wider, internationally, globally, to business and to the next leaders: students. One Planet Education Networks (OPEN) strives to transform our economic model, understanding that it is a subsystem of a finite natural system. We need to rethink how we do business to reconsider its role in society and create new business models and partnerships with a broad range of stakeholders in order to solve problems bigger than any one organization. This will require a dramatic shift in the business environment – including policy and regulations – but also in mindsets and values and above all, learning to innovate collaboratively like we have never done before.